I’m excited to announce that I will be going to show my photographs alongside Food 4 Farmers at SCAA (the Specialty Coffee Association of America) in Seattle this year! SCAA Expo is the biggest coffee event of the year, and the vendors range from coffee retailers to roasters to restaurants to non-profits. For those who work in the coffee industry, this is the place to be. I’ve been to the event several times because my father is a coffee expert and I’ve been able to tag along with him in the past. I’m especially excited this year because this will be the first time I will be formally showing my Food 4 Farmers photographs, and I could not think of a more perfect event to show them. 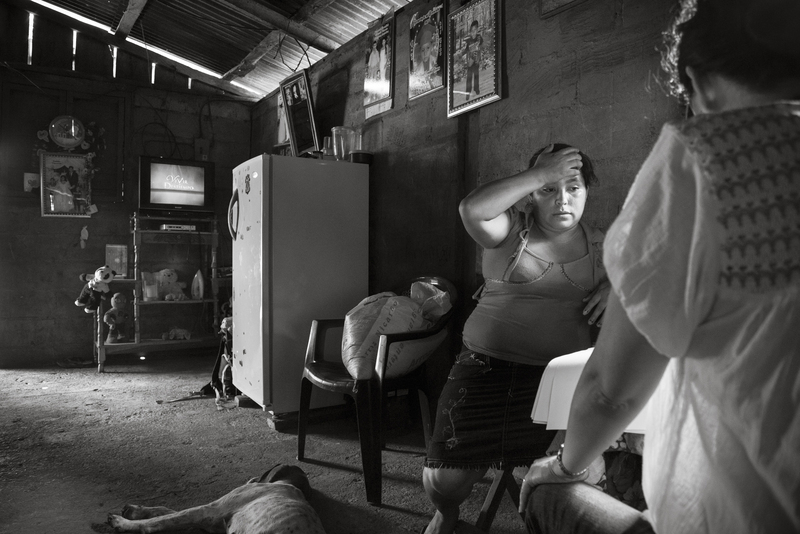 I’ll be working at the Food 4 Farmers booth Friday through Sunday, talking with people about my experience in Nicaragua and showing a portfolio of the trip, as well as selling photographs. 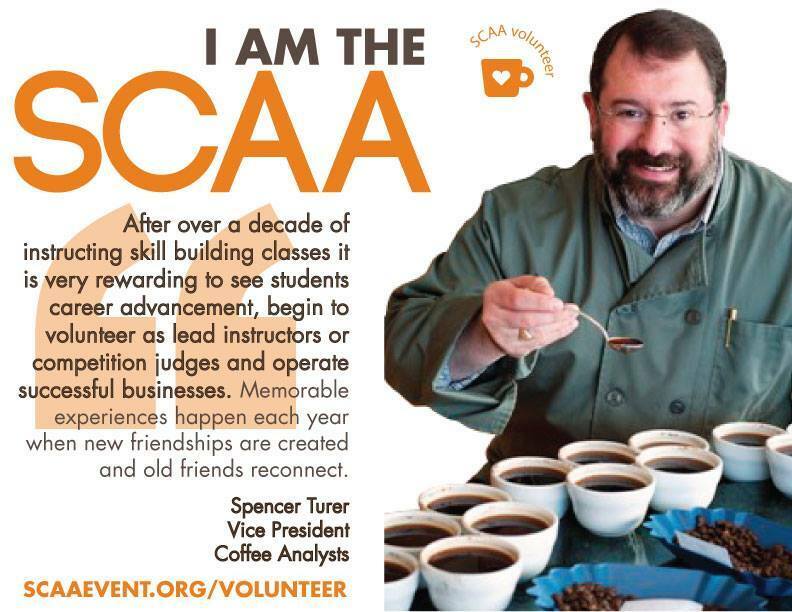 SCAA also used a portrait I took of Spencer Turner for one of their promos this year. 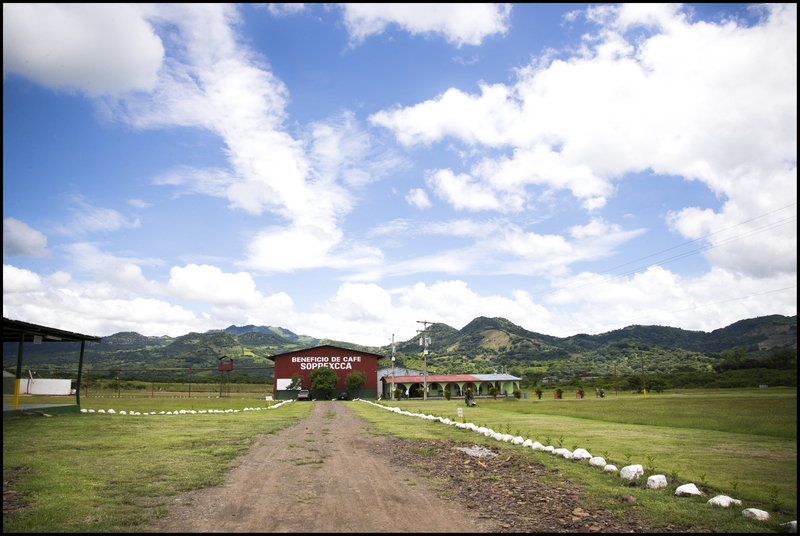 In preparing for this event, I’ve been reflecting on the time I spent in Nicaragua. It was a challenging experience personally, professionally and linguistically, but I loved every minute of it. 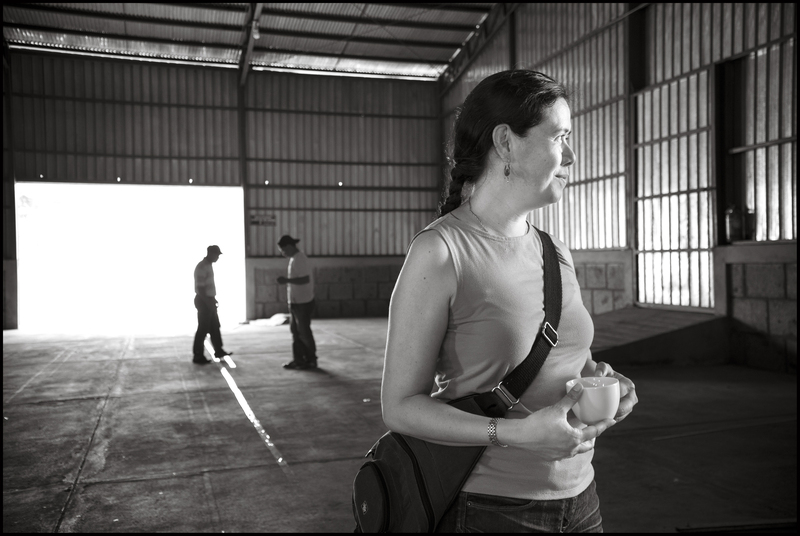 I was traveling with Marcela Pino, a co-founder of Food 4 Farmers, and we spent a lot of time together over two weeks. While I was sometimes on my own for a particular photo shoot, I was often traveling with Marcela and was able to observe her work. Traveling with Marcela was so inspiring; she was incredibly warm and connected with people on a very personal level. 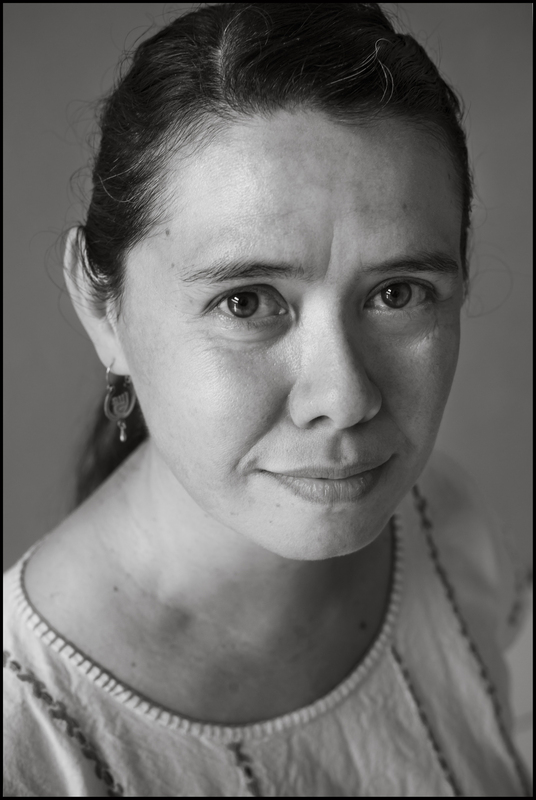 Watching Marcela helped me push myself to connect with as many people as I could in Nicaragua, even though I felt out of my element. 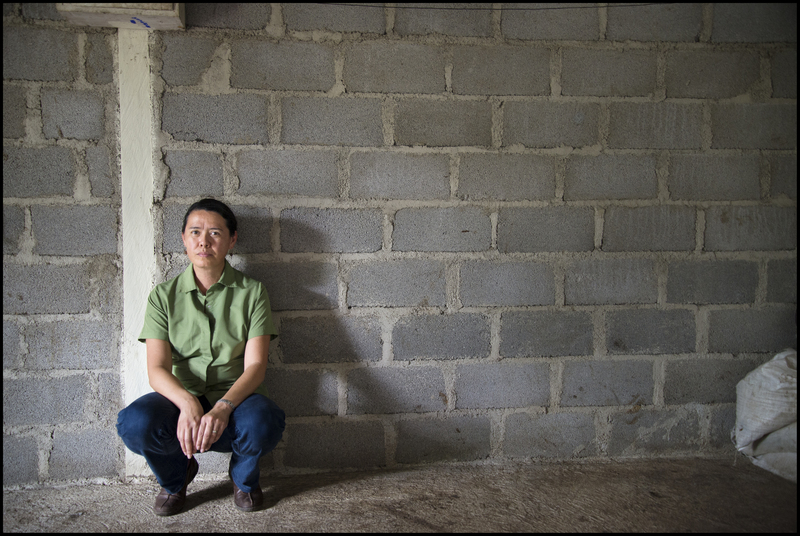 At the end of our trip I interviewed Marcela, and I wanted to share that interview here. 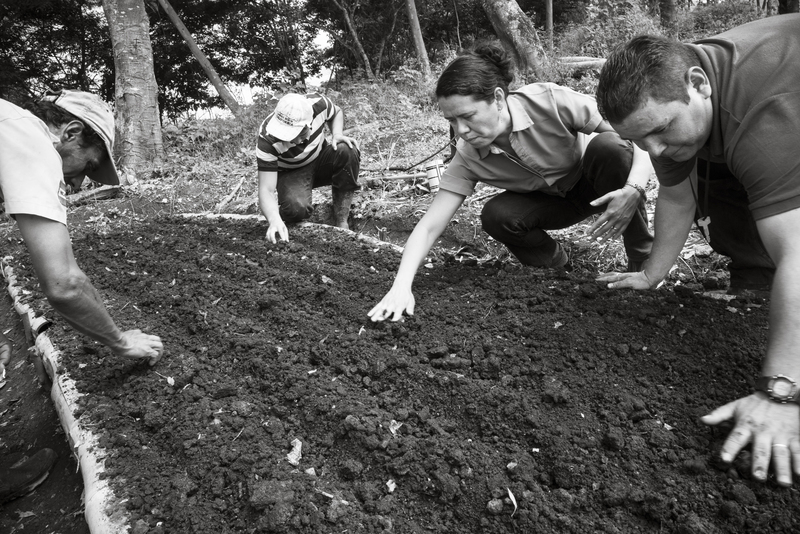 J: You worked for Grounds for Health for five years, and now you are one of the founders of Food 4 Farmers. 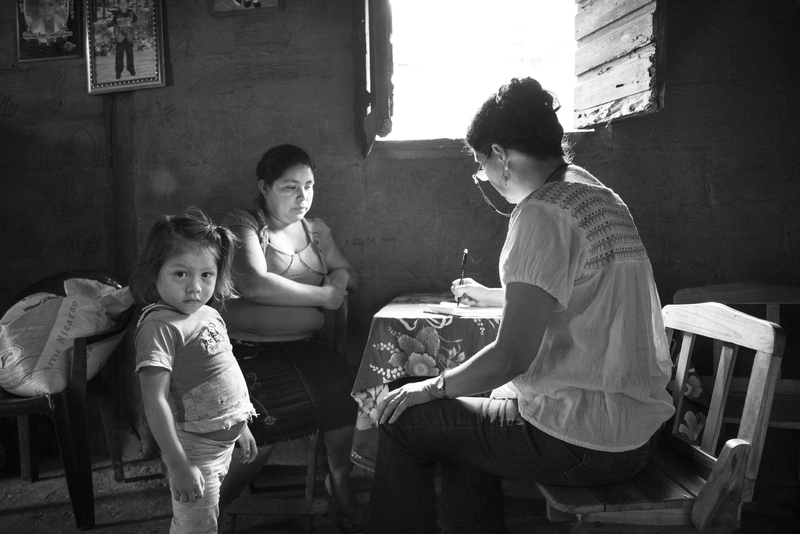 These two non-profits both focus on health and increasing the standard of living in coffee-growing communities. What does coffee represent to you? M: I see coffee as a connector. It allows resources to travel from one place to another. Through coffee I’ve been able to get to know the people who produce coffee and learn about their farming, agriculture, activities, and what the land means to them. Often people see coffee as separate from origin, and my job is to help communicate to the industry and consumers, where people do not know the story of the coffee producer, that the two are intertwined. 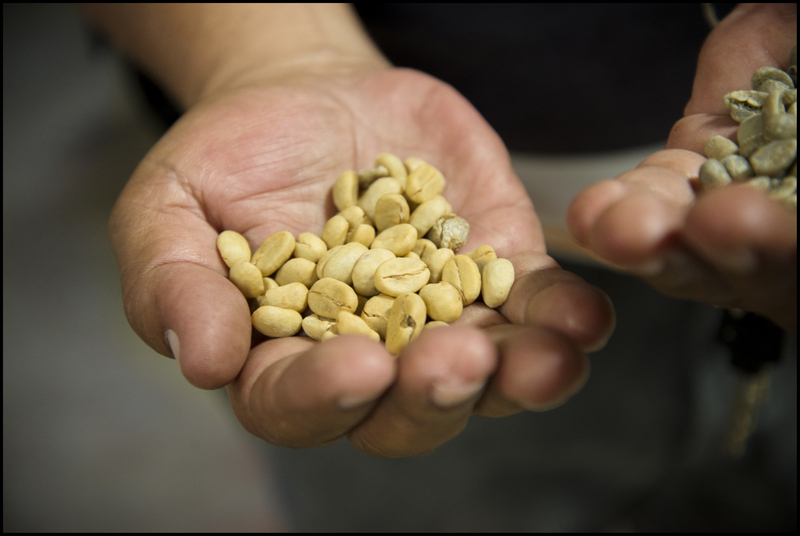 I work to bring the resulting financial and organizational resources to the people who grow the coffee. J: You’ve been around the coffee industry for 10 years. How have you seen the industry change? M: It has been interesting. There are two big things happening. The first is that a lot of companies are becoming conglomerates, and they own many of the steps of the trade, which makes it more difficult for small growers. The second is a lot of emerging young companies, with fresh ideas and perspectives that are bringing a different direction. We'll see what the future holds! J: What would be your advice for a consumer looking to buy their coffee responsibly? M: It’s always good to do a little research. A number of companies and organizations have come up with schemes to help producers keep a larger proportion of the revenue from coffee. Also, If the coffee you are buying is specialty coffee, it’s much more likely that the farmers are getting better prices than those growing other coffees you might get in a can from a supermarket. J: For those looking to learn more about the coffee world, is there a book or movie you would recommend? M: Rick Peyser and Bill Mares wrote a great book on Rick’s experience in the coffee industry, Brewing Change. It’s a story of how he found himself where he is now as Director of Social Advocacy at Green Mountain Coffee. Another book, Brewing Justice, reviews the history of fair trade. And, of course, After the Harvest does a great job of depicting the reality in Mesoamerica as if focuses on chronic seasonal hunger. J: To bring us back to Food 4 Farmers, you interviewed a family in Nicaragua and they were going through a difficult time. Could you talk a little about your experience talking to them? M: It was very humbling. I don’t experience the same difficulties they do, so I sometimes find it difficult to ask people about what they are going through when it is such an intimate subject. In this particular case, the family was eating only a few items in their regular diet, and eating smaller portions. This family had an eight year old and a six year old, and it’s tough to know these kids were going hungry. And yet, it’s always surprising when I am talking with people going through this, they still seem to be very happy people. For them, hunger is part of life - it’s not an obstacle to their happiness. They have strong spirits and they are very joyful people. J: As part of your work for F4F you often talk with people in difficult situations. How do you cope with that emotionally? M: I’m Buddhist, so I internalize it and try to integrate my feelings in my regular life. I ask myself what else I can do, given what I have, to improve people’s lives. I know I have a limited reach, living in another country, but I still do as much as I can. J: Do you feel your organization has been making a difference? M: Yes, I do! It’s hard to explain, because the work we do has long-term positive effects and is based on building relationships and trust. We are a young organization, so we are still building our program. Food security is a big issue, because many farmers consider the “thin months” of seasonal hunger a way of life, not a problem, but now the farmers we work with are thinking, “maybe there is something we can do about this” – they have hope that they do not have to suffer. 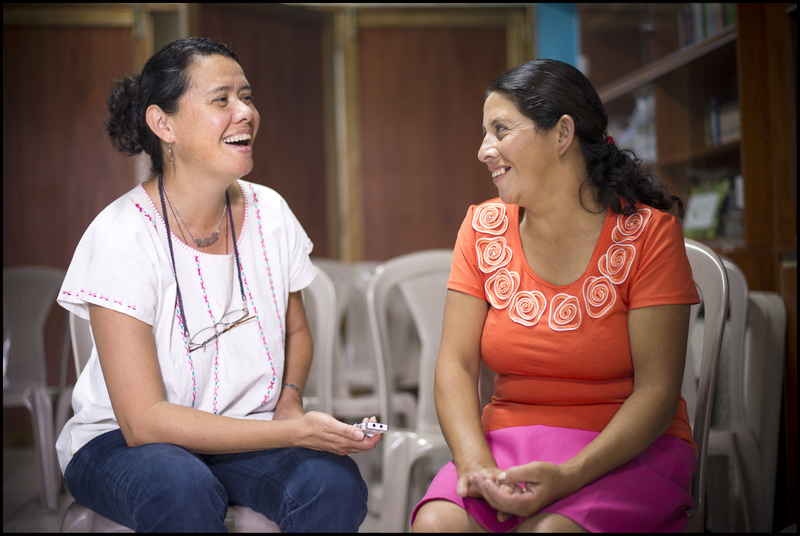 J: I was so impressed with the change I saw in the women after the workshop in Nicaragua. They seemed so excited and empowered. M: Absolutely. As members of a co-op they are already educated, and they learned a lot. The general manager, Fatima Ismael, told me that two women in the workshop who were participating a lot, hardly spoke when they first joined the co-op. And now they are among the most outspoken members. J: What is the most difficult part of your job? M: When you start a non-profit you often focus on the mission, but making time for organizational development is just as important. Finding funding for the organizational work is not easy, because people want to hear about results, they may not be as excited about building systems - but systems are really important, that’s how things get done. It takes time, and so we have to work harder to find those with more of an interest in startups. Another obstacle is coordinating with so many people. Since we’re designed as a collaborative organization, we need a team to complete our comprehensive, long-term projects. Our program brings a lot of people with different skills together, often in different countries, and everyone needs to communicate and work together. Logistically, it can be challenging. J: How do you think your being a Costa Rican and a woman has affected your work? M: Generally, people see me as a Latina, and my background has been helpful in many ways, especially because we work with so many different people from the north and south. I am able to bridge certain cultural gaps. If I were an American it would not be impossible to do the things I do now, but it would be more difficult. J: And as a woman? 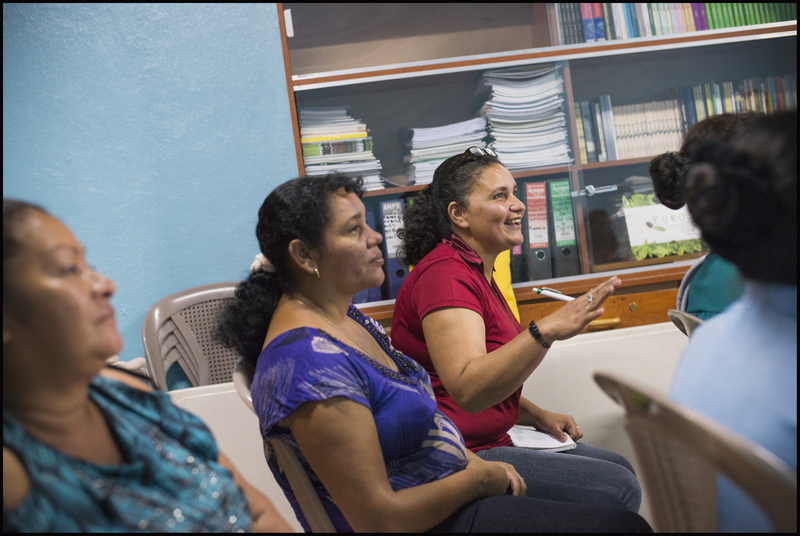 M: It’s my responsibility to teach both women and men in Latin American communities that there are many ways that women can improve themselves, and I can help break down gender inequality. I also encourage women who are doing important work to continue. That said, men can also have that connection. 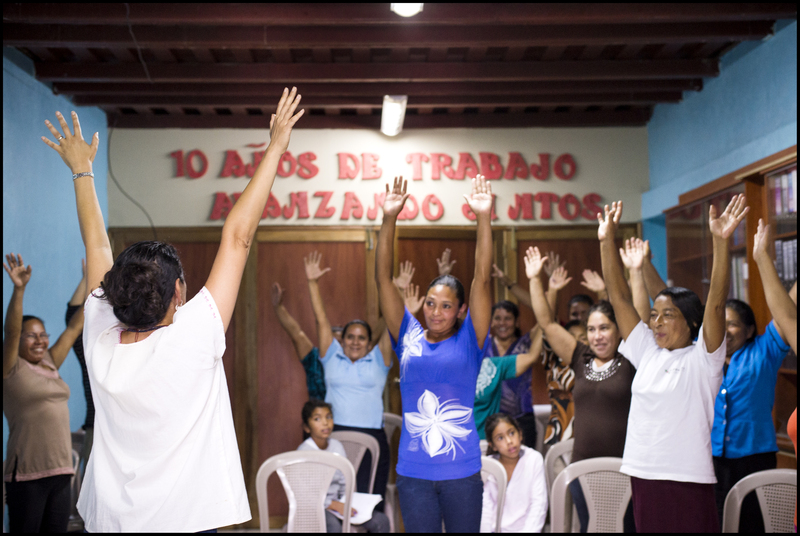 When I was with Grounds for Health, we were doing a three-day training with a large group of women, when the male general manager came in. As is custom, the women wouldn’t look him in the eye. His job was to address and welcome the women, but they weren’t looking at him, and then he did something really good. He said, “I want to apologize to you, because we haven’t taken care of you the way we should have, we haven’t given you the positions we should have, and which you deserve.” And then I could see all the women start to make eye contact. The machismo culture is so engrained in some rural areas, I don’t want to try and break it; I just want to show that there are other possibilities and perspectives. J: What are your long-term hopes for Food 4 Farmers? M: I hope the approach we’re building can be replicated in many more coffee-growing communities. I’m convinced that diversifying livelihoods can develop the rural areas in ways that agriculture cannot do alone. J: Six years ago I interviewed you and I asked you, “If you could change anything about the world, what would you do?” And you said, “to infuse the water with trust.” What would you do now? M: Now, I would infuse the water with something that would open people’s hearts. See why she is inspiring? She is an amazing woman. I’m off to Seattle tomorrow, so check back in soon to hear about the event. It should be a very caffeinated trip, but thankfully I have a lot of practice!